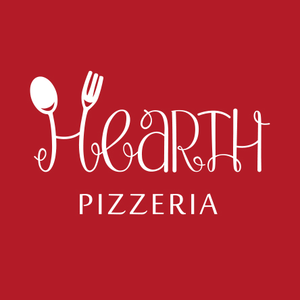 Hearth Pizzeria, a neighborhood Pizzeria-restaurant featuring fresh, organic and locally sourced cuisine. Food was delicious. Lots of families for early dinner. Not pub like but a variety of beer and wines. Nice, friendly atmosphere. Great place to eat, nice environment and food was great. Nice meatball and the pizza was amazing. We had a wonderful dinner at Hearth Pizzeria. Friendly, efficient service and amazing food. Great restaurant! Love the food! Service was great - very attentive and friendly. Gluten free pizza is very good and hubby liked his pizza. We hadn't been there in a long time and Nift got us there tonight. We will return - or at least do take out. The pizza was very good and the service was super friendly and competent. So kid-friendly and I had a lovely salad. Great service on a busy Friday night at prime time. Super pizza! We also tried the bruschetta which was delicious. We will be back for sure!! Good service and good pizza. The food, drink were great. Waiter seemed new, but competent and sweet. Food was fast and tasty. Our server was very friendly and attentive. It was great for our 2 yr old son too. Thank you for taking good care of me and my family! Loved the Parmesan flat bread!! Food was good but service could have been better. We waited a while and finally had to ask for a server. Hearth Pizzeria is a gem. Well cooked, generous portions and friendly service. Will definitely return. Delicious dinner. Pumpkin cheesecake is amazing! And the green goddess pizza was delicious. Friendly service, great pizza. Reasonable prices. Great family place, wonderful food, timely service! Friendly local restaurant with fresh ingredients. Appreciate the monthly specials. It’s nice that they have a kids menu. Many pizzas to pick from. Decent beer selection too. Wish there were more salad choices. We were very pleasantly surprised by how good the pizza was. And, the ambiance and service was excellent. Great jazz music too. We will be back. Pizza was a little too thin, but crust was delicious. Excellent pizza. Very child-friendly. Overall enjoyable. Thank you for the gift!! Great lunch and quick friendly service. Kid friendly and tasty for adults. We'll go again. Food was excellent and there were a variety of items to choose from. The service was surprisingly a bit slow for only 4 tables of people there at a non-peak hour. I usually don't order pizza out at restaurants, but this was a good opportunity to do so and the food was great!! Nice and relaxing ambiance, great pizza and easy going waiter. Highly recommend! They were very accommodating. Great pizza. Great food and cool atmosphere! Designing the ingredients for your salad was great fun and tasty. My family had a very nice dinner. The food and service were great! This was our first visit, and we'll definitely go back! Thanks. The selection of pizza was great - there were so many unique kinds! My husband and I loved the one we ended up getting. It was delicious. The service was good, too. Excellent service, even while short staffed. Everyone was friendly and prompt; the food was delicious as well. It was a great place that we had never tried before. Lots of tasty options. Food is very good, prepared in full view. Staff are nice, great with kids. Fresh ingredients. We had a delightful chat with the manager. The gluten free crust passed our taste test. Great place for a pizza dinner. Pizza is made with fresh ingredients and is not greasy. We shared a pizza and each had a small salad. The craft beer selections are good and the house wine was also good. Hearth has a varied menu with many gluten free options, including dessert! A great place to share a family meal. Fantastic pizza! We loved it! the pizza and service were excellent. Food was good, service was very good and a nice surprise was to hear live music while we ate. Pizza and wings we ordered were awesome! Great quality and freshness. Not fake food. Prices were just a little too high. I can't wait to go back for those wings. The food was delicious and came out hot! The noise level was high. Servers were attentive. The food was very delicious and original. Went with family - food was great! Excellent service and wonderful food all made on site. Save room for the key lime pie!!!! Very good pizza and service! Thanks. Hadn't been in since it became independent. I like the new menu. Will return. Unbeliveably delicious food and a cute place to. Service excellent. 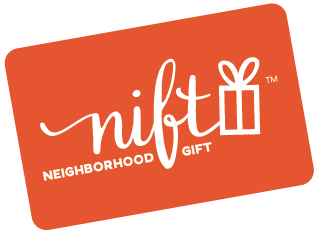 My first Nift was awesome! Hearth was great. Had lunch there today - Pesto chicken pizza and sausage pizza. Friendly service too. I'd definitely go back. It was totally fine. I loved the decor, and the menu was appealing. My panini had a funny taste to it that I couldn't place, though, which is why they just got a 3. The food was very fresh and good. Takeout service was quick. Great family place. Food was very good! Great service. Great gf options! So glad we visited! In additon to tasty Pizza, there was a great atmosphere and waitstaff. The food was delicious and the service was excellent. My family and I enjoyed our meal very much.